Every era of Church history has times of crisis and even corruption, but God always raises up saints to bring the Church back on course. A summary of Church history by Father Scott Jones makes that point repeatedly. He held the attention of a roomful of people throughout his 90-minute presentation at Immaculate Conception Parish in Arnold. And the 175 to 200 people kept coming back for the six-week Lenten series which began March 10 and was to conclude April 14. Father Jones’ presentation is fast-paced and full of informative tidbits yet provides a depth of context and knowledge. Matt Walt, an Immaculate Conception parishioner, said the series built a sense of community, with participants talking about the presentations throughout the week. “I brought my daughter a couple weeks, and she was talking about it all the way home. It’s neat having those conversations,” Walt said. In six weeks, he reviewed the major eras of Church history — early, medieval, reformation, and modern — and reflected on the missteps and rebounds. “There is an old saying that the Church is always in need of reform. Our history helps us to understand what that means. We don’t need to live in fear,” he said. The Middle Ages and Reformation are his favorite times because, in his mind, they produced the greatest saints. The Middle Ages is a time when the Church was at its most corrupt, he said, because so many priests and bishops were caught up in the feudal system or an ecclesiastical career to gain power. The rulers would appoint bishops or abbots to be in charge of feudal tracts of land, and they would select their successors. It wasn’t based on holiness or spirituality but on whether they could command an army, raise taxes or maintain control of serfs, for example, Father Jones explained. The Church is in good shape today, he said, because reforms are in place and a serious approach is being taken to address problems such as the abuse crisis. “The Church has had to do this in the past. What we need is faith, the Gospel, the Holy Spirit and the saints,” Father Jones said. Her husband, Steve Schicker, said each session tells how the Church has been challenged and survived. “We have faith in God that good will come out of what we’ve experienced” as a Church, he said. The series “makes you realize that the Holy Spirit is in charge of the Church,” Bartholomew added. In a Lenten series on Church history, Father Scott Jones cited people from each era who were significant to the times. 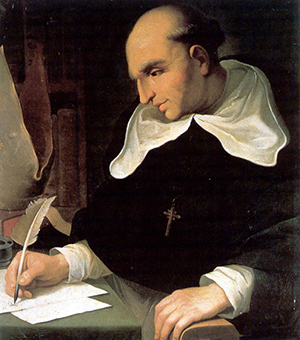 Bartolome de las Casas was a Dominican missionary who spoke out against the oppression of indigenous peoples by Europeans in the Americas and to call for the abolition of slavery. 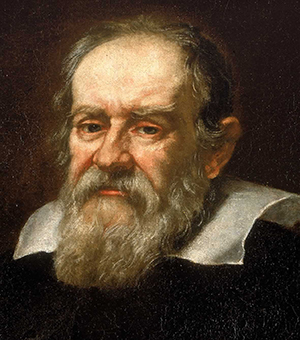 Galileo Galilei was caught in a deep transformation of Church and secular thinking involving scientific discoveries showing the earth revolving around the sun vs. the earth as stationary. 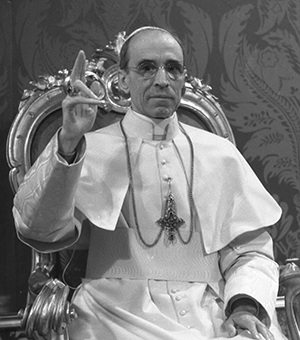 Pope Pius XII struggled to find a balance between diplomacy and condemning the violence of war, challenged on what he did or failed to do to protect Jewish people and other lives during the Holocaust. 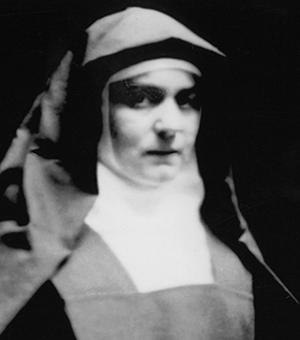 Edith Stein (St. Teresa Benedicta of the Cross) was a German Jewish philosopher who became a Discalced Carmelite nun. She and other Jewish converts to Catholicism were deported to the Auschwitz concentration camp and killed in gas chambers after Pope Pius XI condemned Nazi racial theory. The six-week Lenten series this year at Immaculate Conception Parish in Arnold covered a different era of Church history each week presented by the parish pastor, Father Scott Jones. A committee of parishioners began a Lenten speaker series about seven years ago to build community and for faith formation. A different speaker was secured for each week. An optional dinner beforehand includes locally famous desserts from committee member Carole Betz. Typically about 50 people attended each night of the series in the past. When Father Jones asked the committee members to prepare for 100 attendees this Lent, they were skeptical. The numbers of registrants kept growing, however, and 175 to 200 attended each night. About 30 percent of the attendees were from other parishes. The series was offered free of charge, and a collection of nonperishable food items was held in conjunction with it. 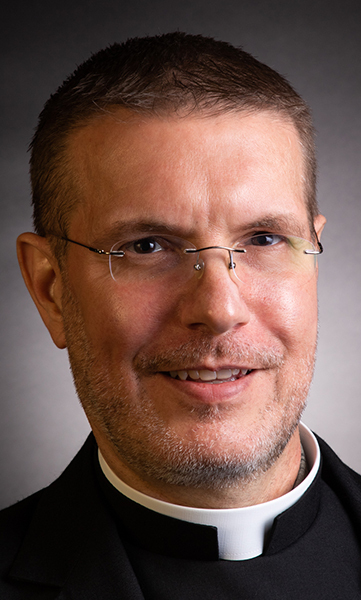 • Former assistant professor of Church history at Sacred Heart Seminary and School of Theology in Hales Corners, Wisconsin. • Holds a doctorate degree in history from the University of Arkansas, with his dissertation on “Monastic Missionaries in the New Wilderness: A History of Catholic Monasticism in Arkansas, 1878-1998.” He also has a master’s degree in history from the University of Northern Iowa and a bachelor’s degree in philosophy and religion/communication and theatre arts from the University of Northern Iowa in addition to other degrees. • Written extensively in various publications and has given many presentations on history and historical figures.